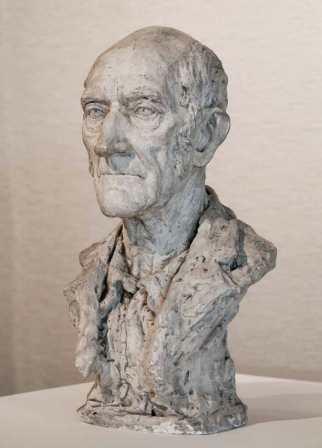 William T. Trego | Catalogue Raisonné | Bust of a Distant Relative, n.d. Bust of a Distant Relative, n.d. Courtesy of The Philip and Muriel Berman Museum of Art at Ursinus College. The bust is in basically good condition, but is missing a small chip at the tip of the nose.